Watercolor is a medium that is often relegated to the realm of studies or prepaintings. Because of its swift, permanent nature, the use of watercolors can easily capture a subject within a few broad, well-handled strokes. 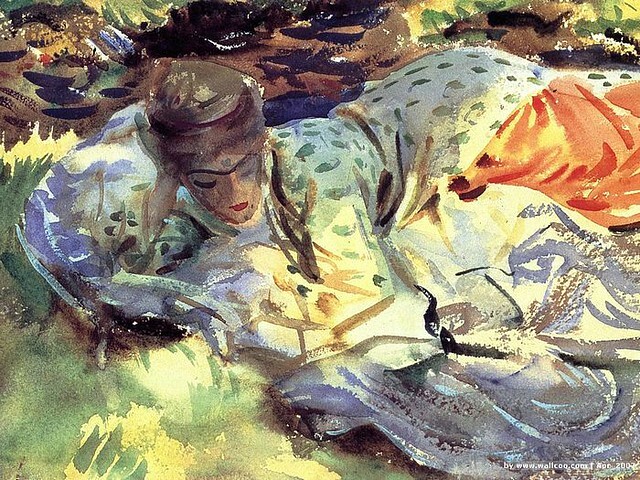 John Singer Sargent (1856-1925), most known for his portraits in oil, particularly the sensational Madame X, completed over 2,000 watercolors during his artistic career. 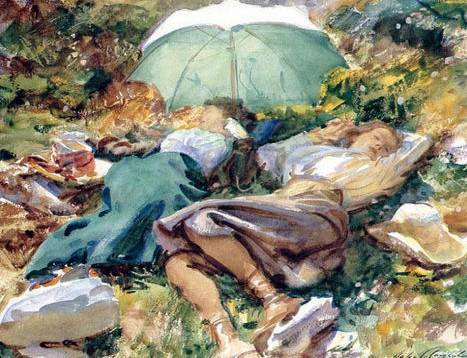 Though his portraits exhibited intense control and uncanny likeness (bordering on flattery) his watercolors exhibit a tendency toward impressionism and an affinity for working en plein air. Sargent traveled through England, France, Italy, and the Americas, and his oeuvre exhibits quite a wide array of landscape subjects. 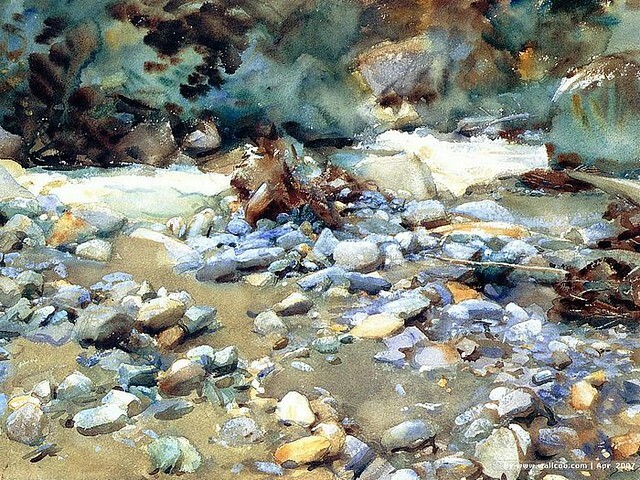 When asked about his strategy in watercolor painting, Sargent replied, "Make the best of an emergency." I'm wearing a Jean Paul Gaultier sarong dress over and H&M swimsuit, Marc by Marc Jacobs leather sandals, and a straw hat by Scala.